Holidays are in full swing with Christmas just 9 days away! High five to the overachievers who have their holiday shopping done. For those of us (me!) who haven’t quite got the ball rolling, we’ve compiled a list of some of the most unique, fun, and trendy gifts for women. This can be used as a guide to help nudge your significant other in the right direction or I’ve never been opposed to buying gifts for myself this time of year cause let’s face it, we deserve it. Don’t fret, there is more than enough time to finish up your shopping and just about every site is offering free shipping. You’ll be glad you waited. Wine is a must for any hostess, but not just any wine. Make sure you show them how much you appreciate them with a good bottle. 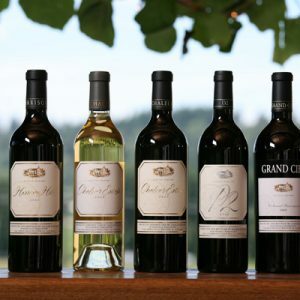 Washington has some truly amazing wineries and one of our favorites is Delille Cellars. They are a boutique artisan winery located in Woodinville. We recommend a visit to their tasting room if you haven’t been there but in the mean time you can order online. You really can’t go wrong with any one of their selections. Regardless of how much you love it there is always a level of stress involved in planning events. Confetë Party Boxes are packed full of high quality stylish party décor that you won’t find anywhere else. The best part, it’s all delivered straight to your door. You can choose from prepackaged themed party boxes or build your own custom party box. Party Boxes start at $95. Pictured: New Year’s Eve Party Box. Who doesn’t want a disco drink? Serve hot or iced so you can enjoy all of your favorite beverages in style. Perfect for your bestie or to liven up your workplace! You can purchase them individually in a pack of two or four! Starting at $18. Find it on Packed Party. We are in love with everything fur right now. 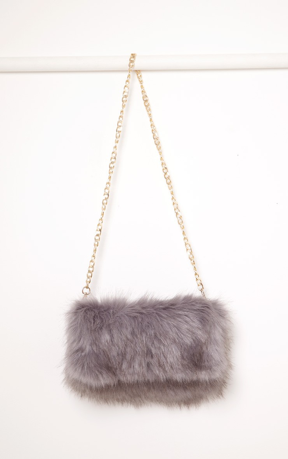 How fun, gorgeous, and comfy is this Kylah Grey Faux Fur Clutch from Pretty Little Things? It can be dressed up or down and doubles as a soft pillow at the end of the night. Just $25! We stumbled upon the amazing little site. Maybe we’re late to the game, but if you love getting dressed up and wearing designer clothes Rent the Runway is where you need to be. Change your wardrobe as often as you’d like or rent a dress for a night out on the town. They offer different packages and options to fit your needs and it’s all delivered to your door! LOVE! These empowering mugs are a perfect gift for someone you know who is on a mission, the change maker, or that inspiring person in your life. Get them for only $12 on West Elm. This fun map is perfect for the world traveler! Scratch off all of the places you’ve been and start planning out your next adventure! Check out ‘It’s a Beautiful World map’ on Etsy. If you haven’t found Box Fox yet, you’re welcome. They offer some of the cutest gift boxes for just about anyone and they’re shipped straight to their door. This Fireside gift box is just $75 and ready to send to that friend who loves to chill at home. For the PNW Lovers out there who just want to cuddle up at home. 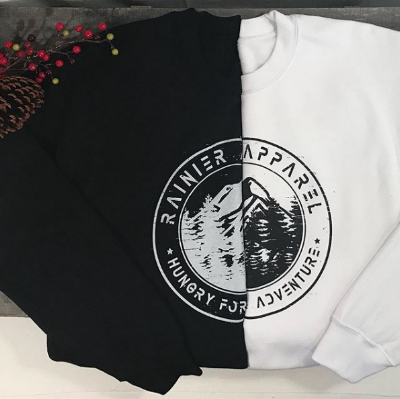 We love every single item that Rainier Apparel offers. They are a local business to Gig Harbor, WA and inspire us to get outside and get hungry for adventure! These sweatshirts start at just $42.95. Check out their swag here. You’re always in the mood for cuddling up, especially with these narwhal-shaped foot warmers! Powered by your Mac or PC through an included USB cord to keep your toes toasty and warm, these adorable plush slippers flaunt the smiling, horn-accented face and body of a unicorn of the sea. You can find this for only $39 on ModCloth. Hopefully we've inspired some pretty awesome gift giving for the ones you love. Happy Shopping!